India is a home to more than 1.2 billion souls on this planet. The majority of the Indian population falls under the average income, middle-class category which is, however, gradually upgrading its living standards and class by grabbing many golden opportunities that are floating in the world. One such opportunity is the chance of investing in mutual funds via an SIP Plan which has caught a lot of heat in the market, and have become the favourite route for the investors, both old and new, to invest in the best mutual funds in India and make their lives better and merrier in terms of financial strength freedom. The working principle of SIP or Systematic Investment Plan is similar to that of a loan repayment. For instance, if you buy a car worth Rs. 10 lacs on finance and have to repay the loan in 20 equal instalments, then you’d be saved from the burden of paying all the amount at once and instead, can easily pay off your debt over a period of about two years. Such is the working model of SIP where you invest in the mutual fund schemes that you have added to your cart in equal, monthly/quarterly instalments at a pre-defined date. MySIPonline is the best place for mutual fund SIP online as it not only streamlines the entire process of investment by ruling out the tedious job of doing paper formalities, but it also helps you make to choose the best schemes for your portfolio. Now that you have understood the basic meaning of an SIP Investment, let’s get hold of some important points related to them which will further filter your investment decision. Why Should You Pick the SIP Route? The market is a quite volatile place and tends to move up and down with heavy margins. Hence, when it is at the top, the funds run expensive and you fetch less units for what you pay, and vice versa. Hence, the overall cost of your investments averages out since under an SIP Investment Plan, you are buying the units on different dates and at different prices. When you are making a lumpsum investment, you are exposing all your investment budget to the market risks at once. However, this risk gets curbed to a great extent under an SIP Plan as investments are made in bits and pieces which doesn’t let the overall fund get hurt to a great extent, and thus allows you to feel safe about your mutual fund investment. 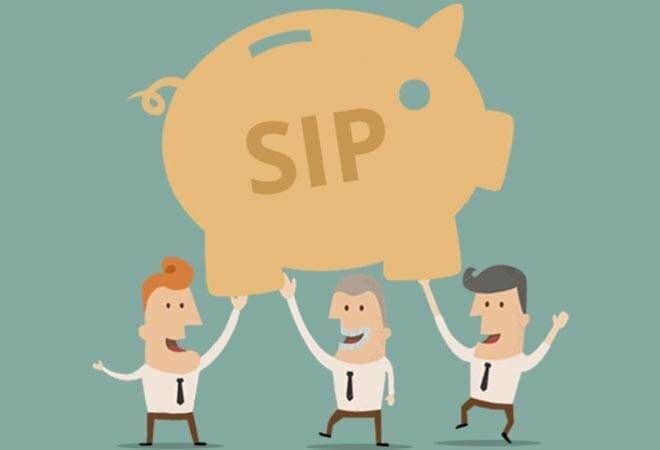 This is one of the most intriguing features of SIP as it unfolds the true power of saving and investing. Suppose you were to make a monthly investment (SIP) of Rs. 5000 for the next 15 years and your expected rate of return is 12.5%, then you’d have earned a mighty amount of Rs. 26,47,074 by the end of the maturity period. Hence, it is highly recommended to start as early as possible with your SIP Plan or else, the ultimate objective of meeting your goals and desires will unnecessary get postponed. The mutual fund industry has lacs of happy customers that have earned a lot from the market. However, be assured that rewards don’t come easy and a judicious approach is always needed to earn them. Making an SIP investment in mutual funds through MySIPonline will be your perfect start towards a prosperous future.